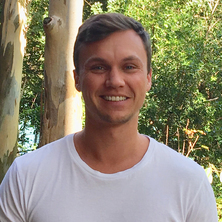 Sebastian is completing a Geostatistics Post-Doc through The University of Queensland’s Energi Simulation Industrial Chair in (Unconventional) Onshore Gas Reservoir Modelling. The research chair is held by Professor Suzanne Hurter and is based at The University of Queensland Centre for Coal Seam Gas (UQ-CCSG). Sebastian has a Bachelors, Masters and Doctorate in Environmental Engineering through the University of Stuttgart. His research interests include geostatistics, stochastic modelling, copula-based non-linear geostatistics and python. Tyson, Stephen and Hörning, Sebastian (2017). A new method for facies simulation using non-linear geostatistics with directional and order asymmetry. In: Society of Petroleum Engineers - SPE/IATMI Asia Pacific Oil and Gas Conference and Exhibition 2017. SPE/IATMI Asia Pacific Oil and Gas Conference and Exhibition 2017, Jakarta, Indonesia, (). October 17-19, 2017. Horning, S., Bardossy, A. and Tyson, S. (2015). Simulation of conditional spatial fields using random mixing. In: Petroleum Geostatistics 2015. Petroleum Geostatistics 2015, Biarritz, France, (73-77). 7 - 11 September 2015.